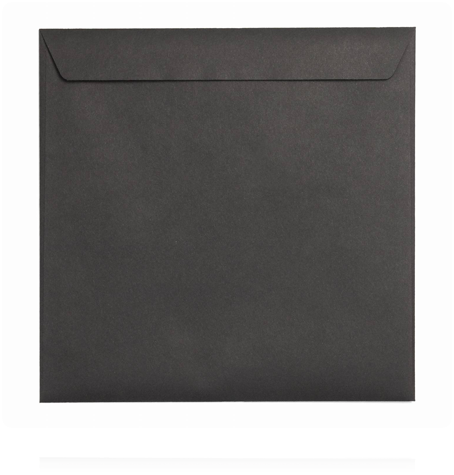 These exclusive 220 mm black peel and seal 120 gsm wallet envelopes are a statement in them selves. Using the quality envelopes in any mailing will guarantee that your mail will be opened. These design led envelopes will add an air of grandeur to your latest project. Suitable for brochures, catalogs, greeting cards, invitations, domestic stationery, prospectuses and certificates. Made from the very best 120 gsm cartridge paper, with hot melt peel and seal flaps giving these envelopes a five year shelf life and tamper proof security.